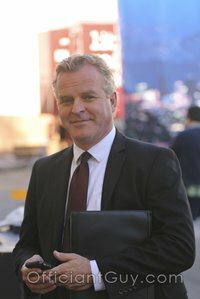 This very busy Southern California wedding officiant can suggest Clarke Estate as your wedding location. The Clarke Estate is a historic landmark and was designed by renowned architect Irving Gill. It is an elegant site for outdoor weddings, receptions, and special adult events. 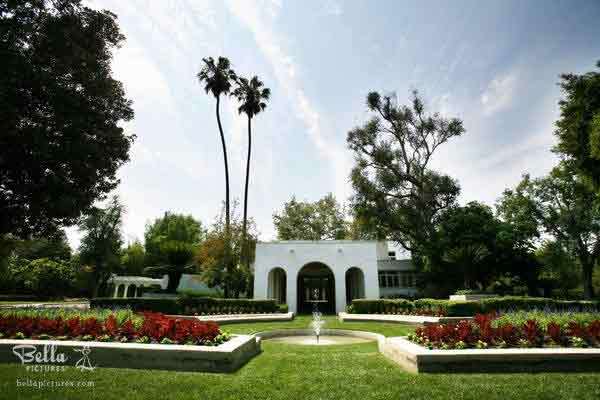 Completed in 1921, the 8,000 square-foot home is constructed of poured-in-place reinforced concrete. The home is built around a central courtyard edged with Tuscan-style columns and graceful arches. 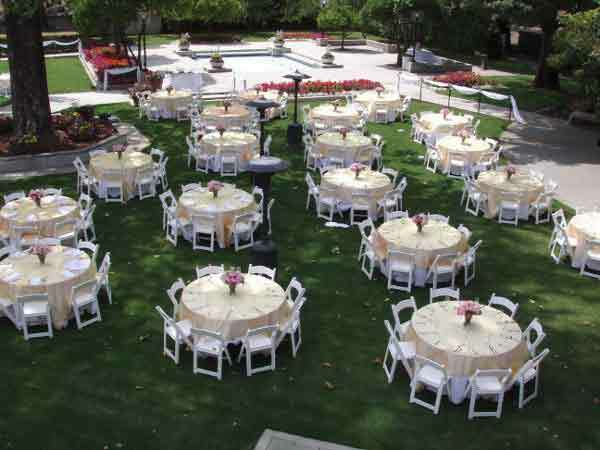 With six acres of land nestled in the City of Santa Fe Springs, this beautiful outdoor venue can accommodate a maximum of three hundred guests. The Clark Estate can host both your ceremony and reception or a reception only. The Clarke Estate does not have onsite catering so a caterer of your choice can be used. The Estate will provide chairs for the ceremony and tables and chairs for the reception. The Estate has two dressing rooms available, one for the bride and bridesmaids and the other for the groom and groomsmen, these are only available if the ceremony is held at the Clarke Estate. The Clarke Estate is in a residential area so all parties must end at 10 pm and you must hire a DJ from our required DJ list. This historical residence has an immense lawn for weddings and receptions for up to 300 wedding guests. It’s a perfect wedding location for an elegant wedding. Looking for wedding officiants for your wedding at Clarke Estate or any other venue in Los Angeles or Orange County? 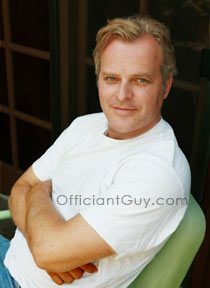 Consider this wedding professional, the Officiant Guy, as your wedding officiant.